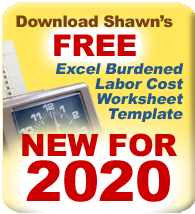 Who Needs Continuing Education Credits to Renew a MA CSL? In July 2011 the Massachusetts Department of Public Safety announced that it is now requiring continuing education credits (CEUs) for renewal of all licensed construction supervisors in Massachusetts. If your Mass CSL license renewal is anytime between now and June 30, 2013, you will NOT be required to take or provide proof of continuing education hours when you renew next. All CSL holders who are required to renew their Mass CSL license, on or any time after July 1, 2011, will need to fully comply with the new CSL continuing education requirements. Continuing Education Credits for the Massachusetts CSL must be completed prior to applying for CSL license renewal. MA CSL Courses offered by a CSL continuing education provider must be pre-approved by the state of Massachusetts for Mass CSL credits before they can marketed as such or offered for credit. 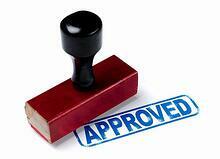 Classes must also be approved for specific credit categories. 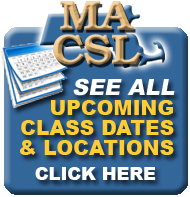 Click here to find out what you will need to get from your MA CSL CEU provider at any CSL course to make sure the classes you take will count towards your Mass CSL renewal requirements. Remember, you must renew your MA CSL before it expires. Be sure to take your MA CSL Continuing Education Classes and get your course completion certificates well in advance of your renewal date.